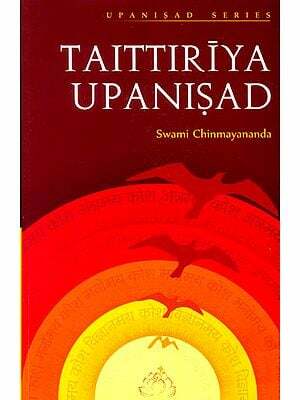 Amongst the various texts of ancient India, the Taittiriya Upanishad has a special place, as it devotes an entire section to education. 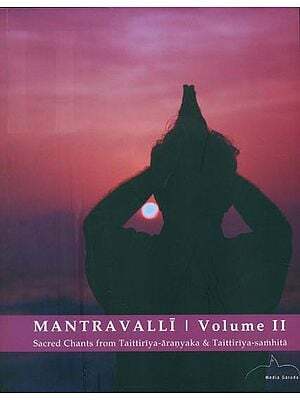 The Taittiriya Upanishad begins with Siksavalli. Siksavalli means, literally, that portion which is connected with the process of teaching and learning. It aims at summarising the essential points that are to be the content of that process of teaching and learning. It can be seen that the Vedic system of education aims at comprehending the entire universe of knowledge. 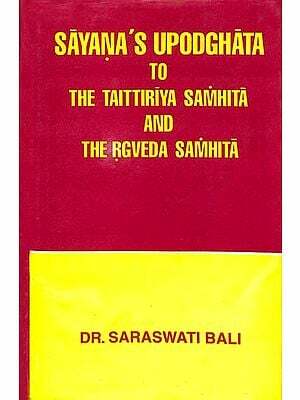 It aims at the knowledge of the physical world (bhur), the vital world (bhuvar}, and the mental world (swar). But it does not stop here. It speaks also of a fourth world, mahas, or the supramental. Amongst the contents of knowledge we find also the knowledge of the self, which is considered the culmination of the curriculum. And finally, in the Bhrguvalli we find a very interesting dialogue between Bhrigu and his father Varuna. Bhrigu is like an ideal student who is enthusiastic about his quest for wisdom and illumination. He approaches his father as his pupil, and addresses his father as his teacher. His question concerns the highest knowledge, the knowledge of the Eternal. In the dialogue that follows we find that Varuna, the teacher, does not answer the question directly or in fullness. He pronounces a few words, which appear to be enigmatic, and asks the pupil to meditate on them. The secret of learning lies in the power of concentration in thought. This important message about the methodology of teaching and learning is to be found in the Bhrguvalli of the Taittiriya Upanishad. The, first, the idea that value-oriented education should task of preparing teaching—learning material for value- oriented education is enormous. There is be exploratory rather than prescriptive, and that the teaching—learning material should provide to the learners a growing experience of exploration. Secondly, it is rightly contended that the proper inspiration to turn to value-orientation is provided by biographies, autobiographical accounts, personal anecdotes, epistles, short poems, stories of humour, stories of human interest, brief pas- sages filled with pregnant meanings, reflective short essays written in well-chiselled language, plays, powerful accounts of historical events, statements of personal experiences of values in actual situations of life, and similar other statements of scientific, philosophical, artistic and literary expression. Thirdly, we may take into account the contemporary fact that the entire world is moving rapidly towards the synthesis of the East and the West, and in that context, it seems obvious that our teaching—learning material should foster the gradual familiarisation of students with global themes of universal significance as also those that underline the importance of diversity in unity. This implies that the material should bring the students nearer to their cultural heritage, but also to the highest that is available in the cultural experiences of the world at large. Fourthly, an attempt should be made to select from Indian and world history such examples that could illustrate the theme of the upward progress of humankind. The selected research material could be multi-sided, and it should be presented in such a way that teachers can make use of it in the manner and in the context that they need in specific situations that might obtain or that can be created in respect of the students. The research team at the Sri Aurobindo International Institute of Educational Research (SAIIER) has attempted the creation of the relevant teaching-learning material, and they have decided to present the same in the form of monographs. The total number of these monographs will be around eighty. Heroism is, essentially, inspired force and self-giving and sacrifice in the operations of will that is applied to the quest, realisation and triumph of meaning and value against the resistance of limitations and obstacles by means of courage, battle and adventure. There are degrees and heights of heroism determined by the intensity, persistence and vastness of sacrifice. Heroism attains the highest states of greatness and refinement when it is guided by the highest wisdom and inspired by the sense of service to the ends of justice and harmony, as well as when tasks are executed with consummate skill. Harmony is a progressive state and action of synthesis and equilibrium generated by the creative force of joy and beauty and delight that combines and unites knowledge and peace and stability with will and action and growth and development. Without harmony, there is no perfection, even though there could be maximisation of one or more elements of our nature. When illumination and heroism join and engender relations of mutuality and unity, each is perfected by the other and creativity is endless. Amongst the various texts of ancient India, the Taittiriya Upanishad has a special place, as it devotes an entire section to education. 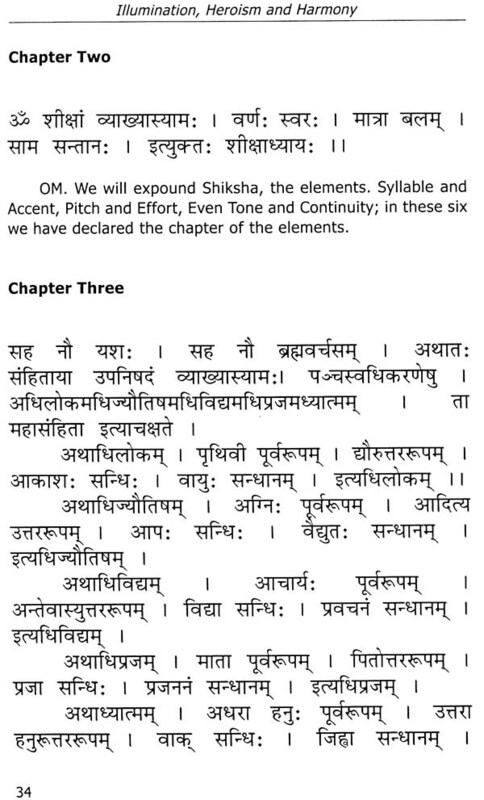 The Taittiriya Upanishad begins with Siksavalli. Siksavalli means, literally, that portion which is connected with the process of teaching and learning. It aims at summarising the essential points that are to be the content of that process of teaching and learning. 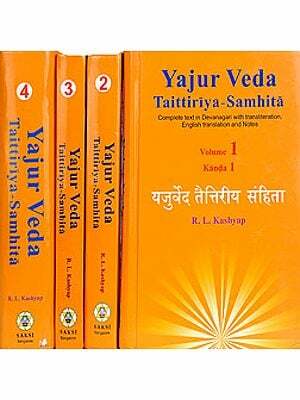 It can be seen that the Vedic system of education aims at comprehending the entire universe of knowledge. It aims at the knowledge of the physical world (bhur), the vital world (bhuvar), and the mental world (swar). But it does not stop here. It speaks also of a fourth world, mahas, or the supramental. Amongst the contents of knowledge we find also the knowledge of the self, which is considered the culmination of the curriculum. In the Brahmanandavalli, the Taittiriya Upanishad itself analyses different levels of self-consciousness, and based on the knowledge of the relationship between Purusa consciousness and Prakriti consciousness, it speaks of three levels of the lower self and two levels of the higher and highest consciousness of the self The three rower levels of consciousness of the self are described as those of annamaya Purusa, pranamaya Purusa, and manomaya Purusa. 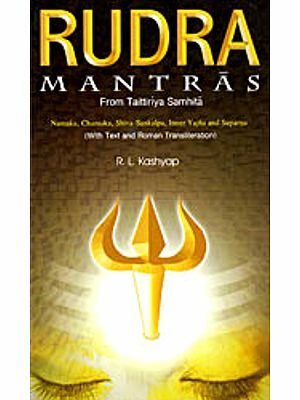 A transition needs to be made, according to the Taittiriya Upanishad, from the lower self to the higher self, and this transition is the main subject of the discipline that involves cultivation of truth-consciousness and consciousness of right action, (kavikratu,). As a result, one is able to attain to the consciousness of vijnanamaya Purusa, the consciousness of the Purusa that is appropriate to the Supramental consciousness. 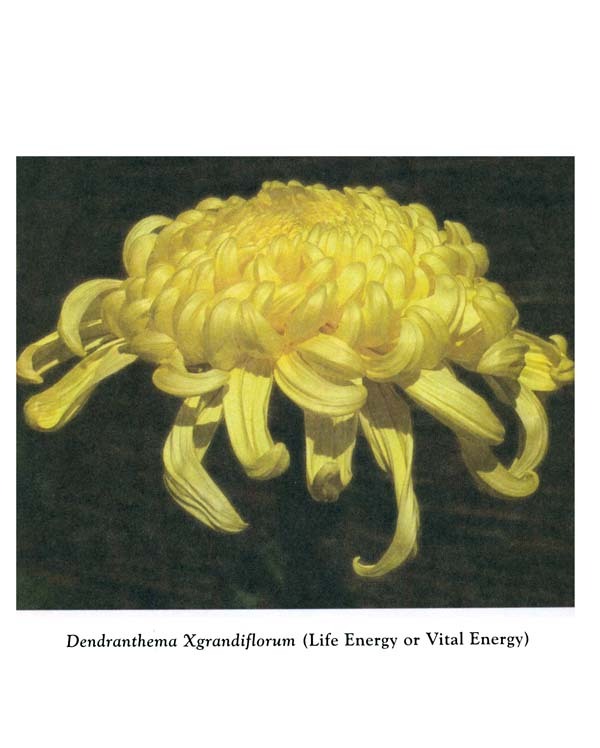 This is followed by the highest state of self-realisation, the realisation of the anandamaya Purusa. And finally, in the Bhrguvalli, we find a very interesting dialogue between Bhrigu and his father Varuna. Bhrigu is like an ideal student who is enthusiastic about his quest for wisdom and illumination. He approaches his father as his pupil, and addresses his father as his teacher. His question concerns the highest knowledge, the knowledge of the Eternal. In the dialogue that follows we find that Varuna, the teacher, does not answer the question directly or in fullness. 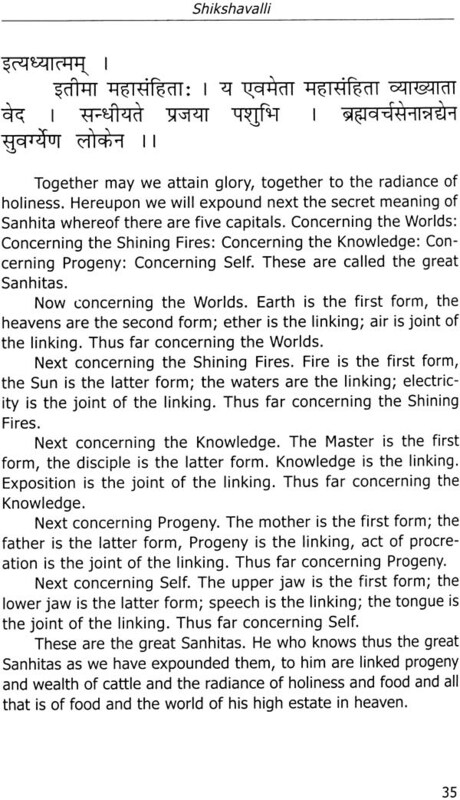 He pronounces a few words, which appear to be enigmatic, and asks the pupil to meditate on them. The secret of learning lies in the power of concentration in thought. 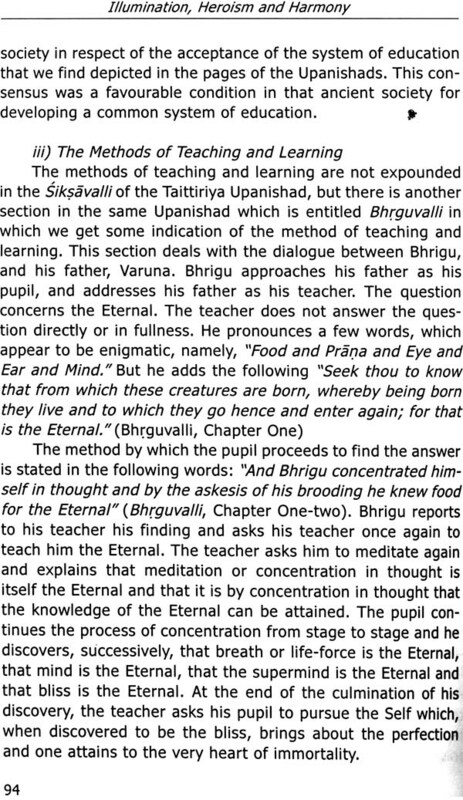 This important message about the methodology of teaching and learning is to be found in the Bhrguvalli of the Taittiriya Upanishad.